This free version has some limitations compared with the paid version. For instance alerts are not supported. Can detect divergences for the following oscillators: MACD, OsMA (Moving average of Oscillator), Stochastics, RSI, CCI, RVI and Awesome. Only one oscillator can be selected. Contains 2 buffers which a developer can use with iCustom(). Buffer index 4 for bull signals and index 5 for bear signals. The shift is always 0. The value returned is a close price of the candle where the divergence occured. Divergence candle shift (must be >0): Default is 1. You can set it to a higher value for a stronger confirmation of the possible reversal/trend continuation. By having it set to 1 you will catch the possible movement earlier (pending divergence). On the other hand, the signal is less reliable. Scan for bullish divergences: True or False. Max history bars: Bars back in time for which to draw divergences. Default is 1000. Fast MA: Default is 12 (fixed value 5 for Awesome). Slow MA: Default is 26 (fixed value 34 for Awesome). Signal MA: Default is 9. 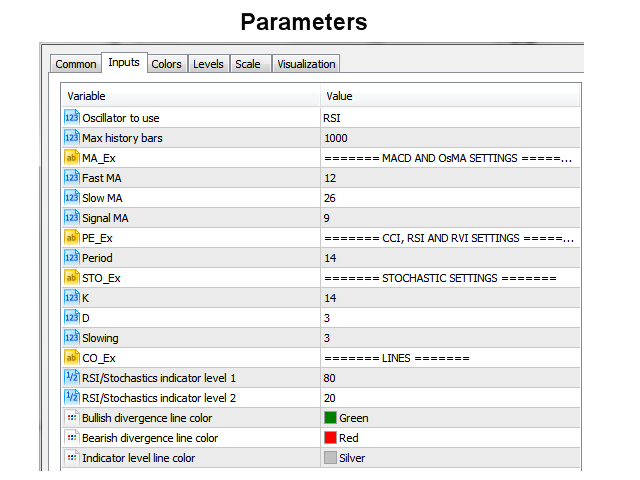 RSI/Stochastics indicator level 1: Default is 80. RSI/Stochastics indicator level 2: Default is 20. 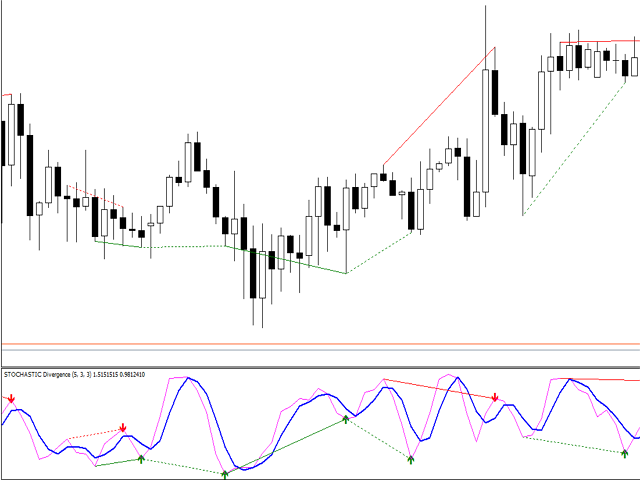 RSI/Stochastics indicator max. value: Default is 100. 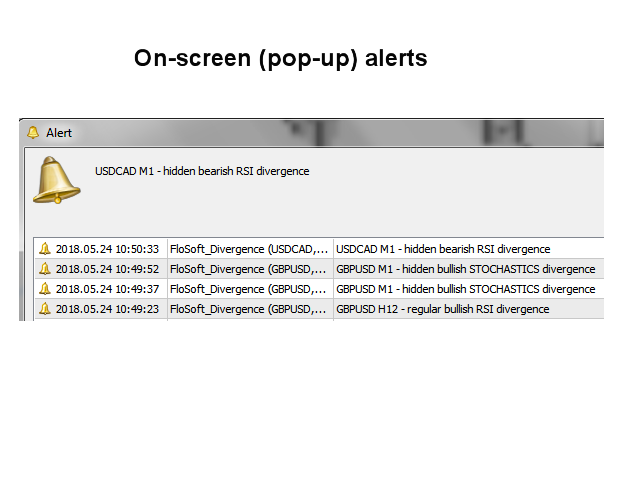 RSI/Stochastics indicator min. value: Default is 0. Bullish divergence line color: Color for bullish lines. Bearish divergence line color: Color for bearish lines. Indicator level line: Color for indicator level lines.